!! 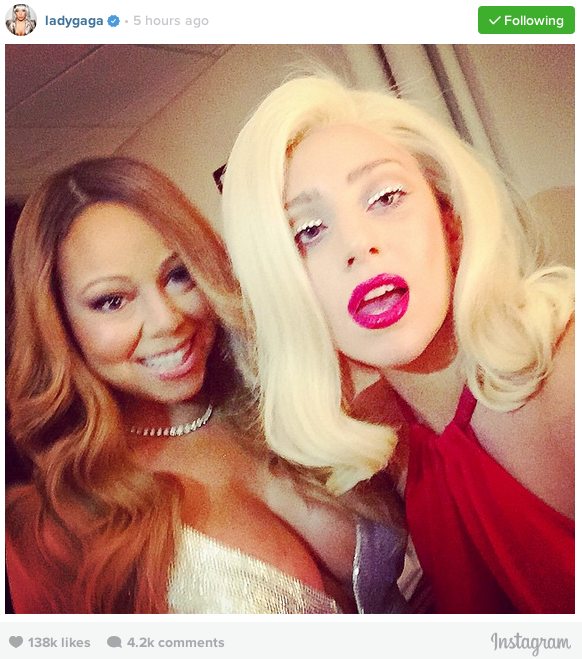 OMG, lambs and lil monsters: When Mariah Carey met Lady Gaga !! I guess the most surprising thing about this meeting of the divas is that Mariah actually ACKNOWLEDGED who Lady Gaga was! Maybe she just thought she was posing with a fan? 1 Comment on "OMG, lambs and lil monsters: When Mariah Carey met Lady Gaga"
I think Lady Gaga is one classy woman. I wish I could see her with Tony Bennett! I saw him, another classy person, almost 2 years ago, and he’s still fantastic! Together in concert would be enchanting!